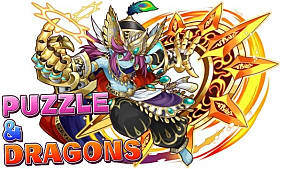 The commercial for Puzzle & Dragons only shows the basic idea of the game - move orbs around for a certain amount of time and try to get as many combos as possible. However, the commercial does not go into detail about other (and very important) aspects of the game, which as a result, might leave beginners clueless, or simply confused. The following top 10 tips will allow beginners to know more about the mobile game, as well as the important details not mentioned in the commercial. All monsters need to be leveled up in order to evolve (some don't though). The process can be a bit tedious, especially when a monster is fully evolved, since its maximum level becomes 99. To speed up the process, there are sprites known as Enhance Material. They give a big exp boost to any monster (more if that monster is the same element as the Enhance Material). 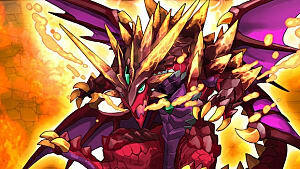 In the photo above, that is a King Gold Dragon. He will give a big boost to any element monster card, but even a larger boost (specifically, increase the exp by 1.5) to any monster that is light element, just like him! The same rule applies to other attributes. Once you find out, use this website to find out your time slots (left chart). UPDATE: As of version 9.6, the Dragons are now permanently there: Dark on Mondays, Ruby on Tuesdays, Sapphire on Wednesdays, Emerald on Thursdays, and Gold on Fridays. In the image above, the little plus sign next to the striped egg signifies it's a Plus Egg. It gives bonus points to one of the three stats: Attack, HP, Recovery. For attack, it's +10 per point. For HP, +5 per point. And for recovery, it's +3 per point. The more points the better. So for instance, if I get two points in attack, then it's a total of +20 (but only for attack). A total of 99 points for each stat can be administered to a monster card, making it a maximum of 297 points (99 x 3 since there are three stats), no higher. In the end, this serves as a boost to your monster cards, because it greatly increases their stats, making them have more health, deal more damage, and recover more health when they lose it. How to get them? Well... this is a lengthy process. You can get them as monster drops in dungeons, but only specific ones. And they only come with one extra point per stat, but there's never a guarantee that the drop will be a Plus Egg. Luckily, there are dungeons that always guarantee Plus Egg drops like, Star Treasure Thieves' Den and Ruins of the Star Vault. From time to time, there are in-game events that increase the drop rate of Plus Eggs by 10 times in Special Dungeons. Cute? Yes. Adorable? Sure! Elusive? Definitely Yes! The little sprite above is an extremely useful monster card because it unlocks Awoken Skills on another monster card. But, what is an Awoken Skill? In the example above, the three little icons in the red outline are Awakenings (or, Awoken Skills). They are basically hidden abilities, that can be unlocked with two methods. First, you must power up a monster that you want with the exact same copy of that monster. 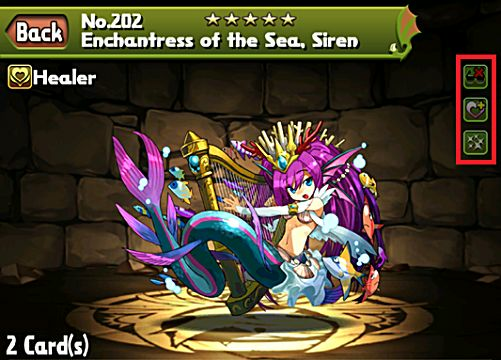 So, let's say I want to awaken one of Siren's abilities. I can do that by powering her up with the same exact card. The second method is "feeding" her a TAMADRA. Once fed, one awakening will be unlocked (they unlock in order, from top to bottom). The more awakenings a monster card has, the more TAMADRAS are needed. The maximum I've ever seen was nine. Dark Resist - 20% chance that you will not be affected by a blind attack, an attack that turns all of your orbs black. Moving orbs, reveals what they are, but having this awakening gives you a chance of resisting. Enhanced Heal - increases recovery by 50. Yes, it's stack-able with Plus Eggs. Auto-Recover - instantly heal for 500 points every time you clear at least one orb combo. Finally, how do you even get TAMADRAS? Gifts from game developers from time to time, rewards for clearing certain dungeons, TAMADRA Village, or as very rare drops in Castle of Satan. There is also a variant of TAMADRAS called Latent TAMADRAS. Those can be purchased in the MP shop (Monster Point Shop) or farmed in PreDra Infestation and can be fed to any monster you wish. They share similar awakenings as normal awakenings, but are slightly weaker because they can be given to any monster. 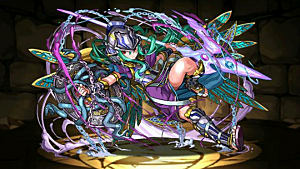 The maximum amount of Latent TAMADRAS given to a monster can be five (if more, the rightmost skill will be "moved" to the right, thus disappearing and clearing the way for a new Latent Awakening). Each monster in the game has an Active Skill. An Active Skill can be used as many times as you want during battle. However, each has a cool-down, meaning once you use it, you must wait a certain amount of turns before using it again. 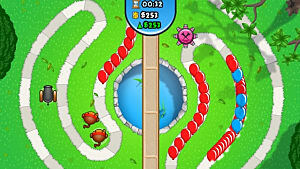 It is however, possible to reduce the amount of turns needed to wait in order for the skill to recharge. Let's say that I have a monster card, whose Active Skill changes all fire orbs into dark orbs. The skill will only be usable after 10 turns, but I want to reduce that to the lowest possible for that specific monster card, let's say five -- each monster card has a different amount of turns that you need to wait. I can do so by feeding a copy of that monster to the initial monster. If successful, the total amount of turns will go down by one, meaning that I'll now have to wait nine turns -- five being the minimum. This is called a skill-up. I'll have to keep feeding the copy of that monster until it reaches five turns. However, there is a huge RNG factor in this. The chance of me getting that skill-up is only 10%. Sometimes during in-game events, the chances of a skill-up are increased to 25%, 30%, or 40%. But, more bad news, the rarer the monster, the more difficult it is to skill-up. Especially if it came from the gacha. UPDATE: As of version 9.6, King Tans have made their debut. They too guarantee skill-ups. Check out THIS link for a more detailed guide. You cannot just put a bunch of monster cards on your team and expect to clear everything in the game. You will fail. That team will be absolutely awful! In the video above (though somewhat outdated), this is just a very basic example of team synergy. There are more teams that are better in terms of synergy and working with one another. It is fair however, to point out that some of the best teams with excellent synergy can only be obtained from the gacha. In the photo above, that is one of my best teams (the sixth card is a friend helper and not one of my cards). The basic idea of this team is to match as many different color combos as possible. The more combos you make, the more damage you'll do. The Leader Skill of the first monster triggers that effect -- a Leader Skill is on the very first monster in your team; it's the only Skill that is always active. The active Leader Skill of my monster card converts all orbs on the current board into other element orbs. Very useful when you don't have enough to make a combo. The second monster's active skill reduces damage by 75% for two turns. The third card reduces enemy HP by 20%, and clears binds. When a monster is bound, it's unusable for a set number of turns. Think of it not being there at all. The fourth monster multiplies the attack of all God type and Dragon type monsters on the current team by two (all of them are at least one of those types). The fifth one reduces damage by 50% for three turns. The sixth card (the friend helper), is exactly the same as the first card (including the Leader Skill). In more simple terms, I can take less damage, reduce enemies HP, multiply my own attack, and deal colossal damage by matching all orb colors -- as you can see, all of my cards cover at least one of every orb element, except for heart orbs. Heart orbs simply heal you when you match three or more. 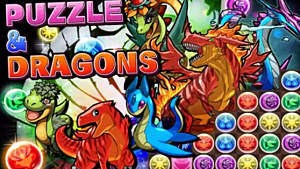 Monster Points (or MP) is a new currency, introduced to Puzzle & Dragons over a year ago. All monsters are now worth some MP. The rarer the monster, the more MP it's worth. Monsters that are very common, and that you can get in a dungeon as a regular drop, are worth 1 MP. Dungeon bosses are worth about 10, 15, or 20 MP (depending on the boss). Silver rarity monster cards from the gacha are worth 3,000 MP. Gold rarity monsters from the gacha can be worth 5,000 or 15,000 or 50,000 MP (depending on rarity as well). What can MP get you? You can either purchase evolution material monsters (monsters needed to perform an evolution. Though, recommend you not do this, as they are pretty pricey, and you can get them once a week anyway). 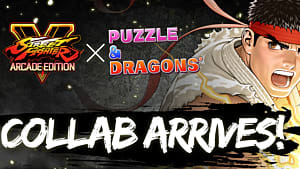 Latent TAMADRAS, Tans, and very good monster cards like Shiva Dragon, Ra Dragon, Xiang Mei, and much more can only be obtained in the MP Shop. The monster whose skill is being transferred must be from the gacha, and must be rarity five or higher (rarity is displayed by the stars next to the monster's name). It must be max level (level 99) and be fully awoken (not counting Latent Awakenings). Once the skill is transferred, that monster cannot be put on the same team as the monster who received its skill. The number of turns of the monster who received the skill and the monster whose skill was transferred are combined. 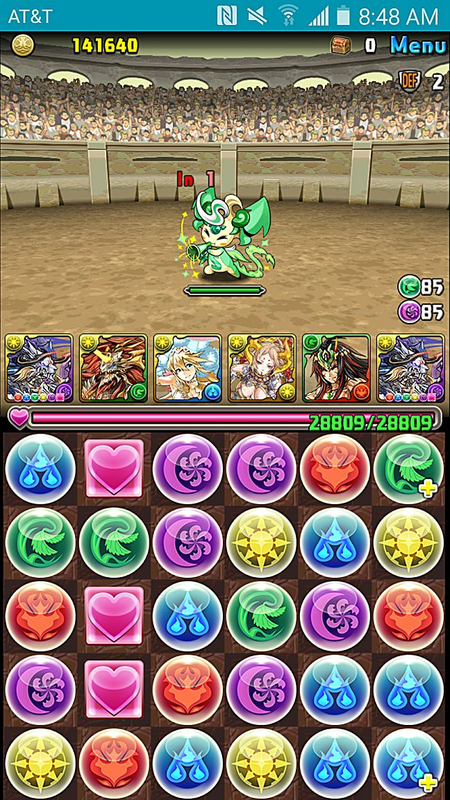 For example, monster A has its own skill that requires 10 turns. Monster B whose skill is getting transferred requires 11 turns. After the skill is transferred to A, it still retains its own skill (10 turns), but the new transferred skill from B becomes 21 turns. Sprites known as Tans are required to transfer a skill from one monster to another. UPDATE: As of version 9.6, skill transfers are faster and easier than ever. Monsters whose skills are being transferred no longer need to be max level, Tans are no longer required, and the cost has been reduced to one million coins (used to be two million)! This Facebook post reveals a bit more information. So, you kept reading this word, "gacha." But you were probably asking yourself, "what...?" Gacha is a fancy, or to be more specific, a Japanese term for Rare Egg Machine (or REM for short). It costs five stones per pull, but what do you get? Well... you can get anything from this gacha because it's random. The good news is that you won't waste five stones and get something that you can get as a common dungeon drop. The bad news is that if you want something in particular, you may or may not get it. It's pure RNG. The image above, is a Godfest (God Festivals). Godfests are in-game events that are held every few weeks. They increase the chance of a specific pantheon (Norse Gods, Greek Gods, Japanese Gods, Egyptian Gods, etc.) by three, meaning that monsters from that particular pantheon are three times more likely to appear for you. You can try and roll for a God outside of a Godfest, but that is not recommended at all! Also, Godfests have the chance of giving you a Godfest exclusive monster card. Those are very desired, extremely rare, and incredibly useful monster cards that you can only get during a Godfest. Some examples are: Kanna, Tsubaki, Sherias Roots. PRO TIP: Never roll outside of a Godfest! Always roll during one! 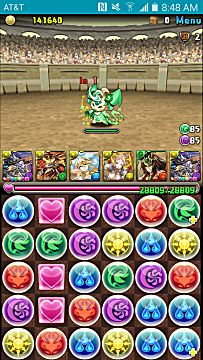 Having friends in Puzzle & Dragons is very important. Without friends, you'll have a hard time clearing dungeons -- you don't have to know them in reality. Before you enter a dungeon, you'll be required to select a friend helper. A friend helper will be acting as your sixth monster card on your team. If you don't have any friends, don't despair! You'll see the word "user" next to another player. After you successfully clear a dungeon, you'll have the option of sending that user a friend request. If they accept, you become friends! And same thing might happen to you. If you get a friend request, that means someone used your monster to clear a dungeon. So, accept it! Whenever you use a friend helper, you'll receive Pal Points. Pal Points can be used to roll the Pal Egg Machine. Every few days, the Pal Egg Machine changes its content. Sometimes, it'll be evolution material monsters. Sometimes, it'll be enhance material monsters, but you can always get pal points no matter what. PRO TIP: Try to find friends who use the same leader skill monster as you. That way, the abilities that the leader skills give will be doubled for maximum effect! 1. Be Active and Keep Up! There is a good reason why this is my number one tip. This game receives new content and updates on a monthly basis. 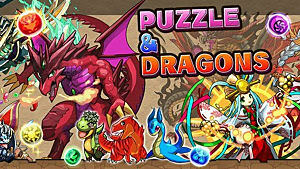 New monsters, dungeons, mechanics, rewards, and more are always being added to this game. If you don't keep up with the updates, or don't pay attention, then you will be left behind, and really struggle to keep up. Don't let this happen to you! Thankfully, there are a good amount of sites that you can use to learn more about the game, keep up with the updates, and expose yourself to the community, and all the content this game has to offer. Facebook Page. This is where you'll find all the latest announcements like updates, in-game events, new releases (evolution and monster cards), and lots more. PADX. A website that is managed by fans (way better than the wiki). Here, you'll find all the details about specific dungeons, monsters, updates (as well as a sneak peek of future updates since Japan gets everything first). Forums. Pretty obvious why this is on the list, chatting is a good way to find new and better strategies. Mantasticpad. I'll put it this way. The man is a genius. He has incredibly good guides, analysis of key mechanics, suggestions for teams, etc. I highly recommend that you check out his blog! 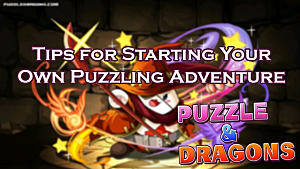 Hopefully, these tips will be useful enough for beginners to grasp some of the key aspects of Puzzle & Dragons. If you want more help, or want a guide on something more specific, let me know in the comments below!